Also front pinion seal for early through 1990 9.5" front differentials. This also fits front transfer case seals early-late models utilizing split type transfer cases. Or one piece transfer case through 1980 types. as well as Lexus LX450, Previa, 4Runner, Tacoma and others. This Seal is listed for various Toyota Land Cruisers. 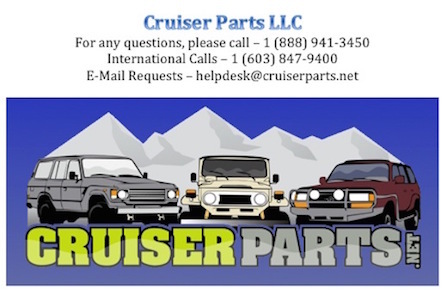 Tags: land cruiser, landcruiser, land cruisers, landcruisers, 90311-38047, 9031138047 90311-38028, 90311-38035, 90311-38133, 90311-38134 Also used on various international models.